H2 POSITIVE CHOKE VALVES-H2 FIXED choke valve are often used in the oilfield when drilling，testing，production, our POSITIVE CHOKE VALVE-H2 TYPE CHOKE VALVES are designed and manufactured in accordance with API 6A and API 16C standard and improved from Cameron H2 series adjustable choke valves. They are easy for operation and simple to maintain. Our POSITIVE CHOKE VALVES have many sizes and pressure ratings used for oil field application，choke bean size within body are from 2/64 inch to 128/64 inch, increment with 2/64 inch or 4/64 inch. ♦ Wellheads ♦ Crude Oil and Sour Gas, Mud. 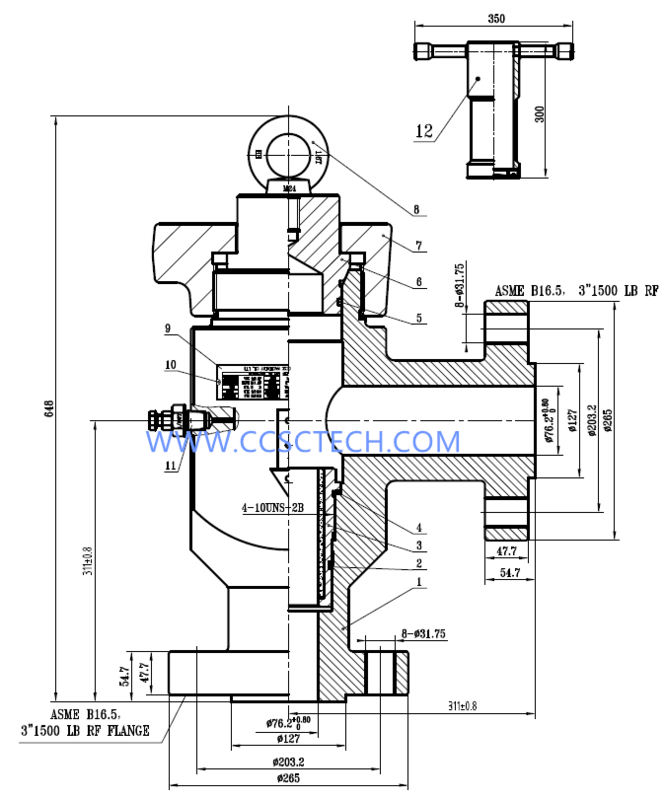 ♦Carbide alloy is embedded into stem needle of valve, seat.